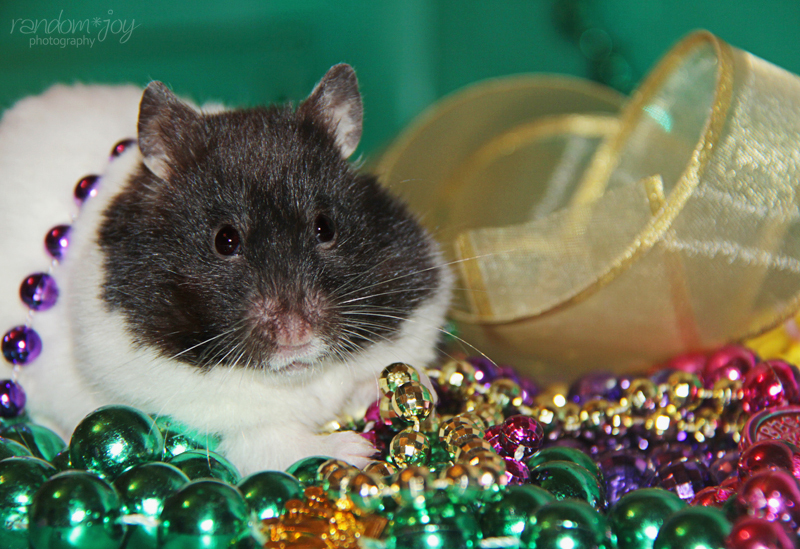 Appalachia & Beyond: Joyeux Mardi Gras! It's been a while since we posted a picture of Coo, and she's feeling a little neglected. She's always complaining about Clover being in the spotlight, and how she wished they'd make leashes for hamsters. She says she'd love to hike, but only at night. :-) Until then, she'll just have to stick to holidays.